An optimal T-cell response requires the integration of a number of distinct extracellular signaling and adhesive events at the T-cell-antigen-presenting cell (APC) interface, which has been termed the immunological synapse. Engagement of T-cell receptors (TCRs) on the surfaces of T cells with major histocompatibility complex (MHC)/peptide complexes displayed on the surfaces of APCs is essential, but not sufficient, for complete T-cell activation . The subsequent engagement of a series of costimulatory recep-tor-ligand pairs provides the additional signals needed for efficient T-cell activation, as well as the negative signals required to attenuate the immune response (Fig. 3) [23-25]. The most extensively characterized T-cell costimulatory receptors are CD28 and CTLA-4, which share ~30% identity and bind the B7-1 and B7-2 ligands presented on APCs. Together with signaling through the TCR, the engagement of CD28 by the B7 ligands leads to optimal T-cell activation , while the interaction of B7 with CTLA-4 provides inhibitory signals required for downregulation of the response. Figure 3 T-cell activation and the immunological synapse. (A) Schematic of the immunological synapse highlighting the compartmen-talization of specific signaling components into discrete zones. The central zone is enriched in cell-surface signaling molecules (i.e., TCR, MHC/peptide complex, and costimulatory receptors and ligands) and cytoplasmically associated scaffolding and signaling proteins (i.e., Src family kinases, etc.). Surrounding this signaling complex is the peripheral zone, which is composed of large adhesion molecules and cytoplasmically associated cytoskeletal components required for the observed pattern of localization. (B) Model for the costimulatory signaling network at the T-cell-APC interface. The disulfide-linked CTLA-4 dimers are shown in red, while the noncovalent B7-1 dimers are blue. The interactions between these two dimeric bivalent molecules in the crystal result in a periodic array of CTAL-4 and B7 homodimers with a characteristic spacing of ~100 A. This periodicity may result in the organized recruitment of signaling molecules (pink and red) and may in some circumstances provide further adhesive interactions required for productive signaling. and components of the actin cytoskeleton (Fig. 3) . This organization appears to be dependent on an uncompromised actomyosin cytoskeleton, thus providing another example of the intimate involvement of the actin-based cytoskeleton in a fundamental signaling pathway. A number of potential functions have been proposed for the molecular organization in the synapse, including the polarized secretion of cytokines, TCR recycling, and the promotion of costimulatory receptor-ligand engagement [27,28]. In addition, the B7 ligands appear to control APC function, as crosslinking the B7 isoforms modulates both B-cell proliferation and antibody production [22,29-31]. Thus, engagement of the costimulatory receptor-ligand pairs represents an outstanding example of bidirectional signaling. Of particular note are the recent structural descriptions of the CTLA-4/B7 receptor-ligand complexes, which exhibit an alternating arrangement of bivalent CTLA-4 and B7 dimers (Fig. 3) [32,33]. The observation of this linear periodic array suggests a model for the organization of these cell-surface molecules at the immunological synapse. Importantly, the observed spacing between the extracellular receptor domains is also imposed on any cytoplasmically associated signaling molecules, and suggests that the oligomerization of multiple (i.e., at least two) CTLA-4 dimers may be required to afford a biologically optimal organization and local concentration of intracellular signaling molecules. 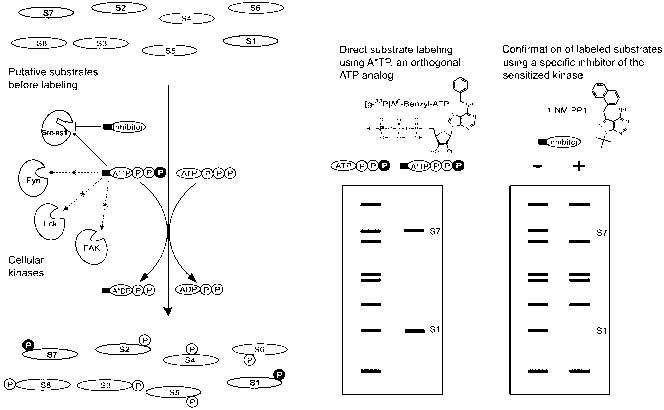 Figure 4 Effect of stoichiometry on the signaling complexes formed by multivalent receptor-ligand pairs. (Top) Limiting ligand will favor the formation of cell-surface complexes composed of two receptor dimers (e.g., CTLA-4) linked by a single ligand dimer (e.g., B7-1). This assembly would impose a constraint between the two adjacent receptors and any associated cytoplasmic signaling molecules (i.e., ~100 A in the case of the CTLA-4/B7 complex). (Bottom) Excess ligand would favor complexes composed of a single receptor linking two independent ligand dimers. This association would not enforce any specific spatial relationship between individual receptor molecules but would still direct the localization of the receptor and ligand to the immunological synapse and could result in a sufficiently high local concentration of individual receptor dimers to support signaling. linked by a single ligand dimer (e.g., B7-1) would be favored, and such an assembly would impose an ~100-A constraint between the two adjacent receptors and any associated cytoplasmic signaling molecules. In contrast, the presence of excess ligand would favor complexes composed of a single receptor linking two independent ligand dimers. This association would not enforce any specific spatial relationship between individual receptor molecules but would still direct the localization of the receptor and ligand to the immunological synapse and could result in a sufficiently high local concentration of individual CTLA-4 dimers to support signaling. Finally, equivalent amounts of receptor and ligand at a cell-cell interface would favor the formation of more extensive periodic networks. Importantly, this is a general consideration relevant to all multivalent receptor-ligand pairs. In addition to playing a direct role in signaling, cell-surface receptor-ligand engagement constrains the approach of the adjacent plasma membranes (as in the case of the adherens junction discussed above) and may play a role in directing the organization of molecules at the cell-cell or cell-ECM interface. The maximal dimension of the CTLA-4/B7 complexes (~100-140 A) is compatible with those of other receptor-ligand pairs present in the central zone of the synapse (i.e., MHC/TCR [34,35] and CD2/CD58 ). In contrast, the adhesive complexes present in the peripheral zone (e.g., the LFA-1/ICAM-1 complex) are significantly larger in maximal extent, and this difference has led to the suggestion that the compartmentalization observed in the immunological synapse is the consequence of a mechanical sorting mechanism based on relative molecular dimension [37,38]. While this is an appealing hypothesis, it is based on the assumption that intrinsic membrane proteins extend perpendicular to the plasma membrane and ignores the possibility that a molecule of large extent can be accommodated within the central zone by tilting with respect to the plasma membrane, as was suggested in the model of C-cadherin in the adherens junction (Fig. 2). While the adhesive functions of ICAM and LFA-1 are essential to synapse formation and T-cell function, engagement of these molecules is also likely to play a direct signaling role in T-cell activation and function. Recent studies have shown that ICAM-1 binding is associated with LFA-1 clustering, enhanced actin polymerization, and F-actin bundling within T cells . Conversely, crosslinking of ICAM-1 in lymphocytes stimulates calcium signaling and PKC activity, which results in cytoskeletal rearrangements associated with migration . These observations indicate a strong coupling between adhesive and signaling functions and suggest that reciprocal bidirectional signaling may be associated with ICAM/LFA-1 adhesive interactions (see, for example, Lupher et al. ). As the localization of adhesive partners at cell-cell and cell-ECM interfaces necessarily results in the localization of cytoplasmically associated species, it is relevant to ask whether situations exist in which adhesive functions are fully uncoupled from signaling events. For instance, the one-dimensional lattice observed in the CTLA-4/B7 crystal structures exhibits considerable similarities to the adhesive assembly formed by the cadherins (Fig. 2), and on this basis it is tempting to suggest that costimulatory receptor-ligand engagement might also provide adhesive interactions required for efficient T-cell function. Although no data bear directly on the adhesive properties of CTLA-4, recent studies indicate that CD28 does not make any significant contributions to the adhesive properties of naive T cells . These results differ from earlier studies indicating that the CD28/B7 interaction significantly enhanced adhesion. However, these earlier studies utilized systems in which either receptor or ligand was overexpressed [42,43], again stressing the importance of accurately knowing the cell surface densities of the binding partners in order to correctly predict mechanism. These recent studies also indicated that only ~30% of the CD28 molecules exhibited free lateral diffusion in the plasma membrane , implying that only a fraction of the total population may be available to bind B7 at the immunological synapse. While no evidence supports limited diffusional freedom as a general feature of cell-surface proteins, these studies nonetheless stress the potential importance of considering the "available" receptor and ligand concentrations, as opposed to total cellular concentrations.